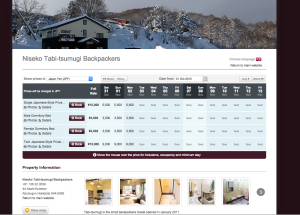 It’s renewed our booking-page on the web-site to enable online book at this time. That makes you easy to check the room vacancy, price-check and make a reservation the date without the response from us. ← The Booking Form will be renewed on our web-page.